Another young Edmonton couple decides it’s time to buy a home and raise a family. And being savvy buyers, they keep the old real estate adage “location, location, location” in mind. They look at new homes in the suburbs, but realize the long commute would eat into their family time. They look at homes in central neighbourhoods, but the houses that are available don’t appeal to them – they are too small or old-fashioned. Yet they fall in love with a family-friendly neighbourhood with mature trees lining the boulevard, a school within walking distance, and a short commute to downtown jobs. But while it can be a good solution for families and for the city as a whole, it is not an easy one. Infill is more expensive, time-consuming and difficult than building in the suburbs, even with recent changes meant to make it easier. The benefits may still outweigh the costs, but it’s important to understand the costs if you choose this route. Over the past three years, the City has been building a strategy that includes a goal for 25 per cent of new housing to be infill. While many of us see infill as building density – think row houses and condos – the City has focused its initial approach on single-family housing that replaces aging housing stock in neighbourhoods that once made up Edmonton’s suburbs. Creating modern homes in mature neighbourhoods stems the flight to the outer reaches of the city where young families who want new houses tend to move. In the past 40 years, 73,000 people have moved out of central neighbourhoods, even while Edmonton’s population continues to grow faster than the national average. Without new residents to make up for some population loss in these neighbourhoods, services and amenities will continue to decline, leading to a cycle of continuing population loss, leading to more service losses. But it’s not just individual neighbourhoods that become more sustainable with infill – the city itself benefits as people move into core neighbourhoods and rely on public transit more than their vehicles. When existing infrastructure is used by more people, maintenance and upgrading costs are reduced and fewer tax dollars are spent on developing new services. 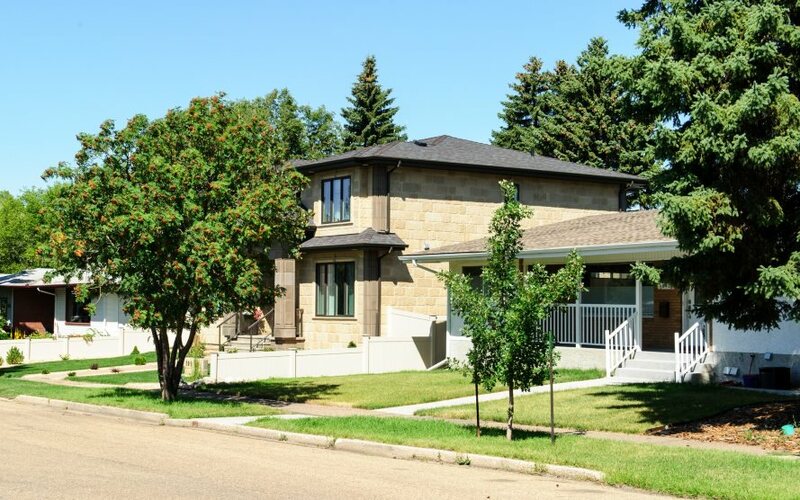 So the city is selling infill as “Everyone’s Edmonton.” Building in mature neighbourhoods makes them more sustainable and diverse – both culturally and economically. The case is persuasive, but the practicalities may be more daunting than many homeowners realize. How much harder is it to build an infill house? Building any house is no small undertaking, but infill brings its own unique challenges. Financing is more difficult, for example. The mortgage on the property may not be insured by the Canada Mortgage and Housing Corporation, which would make a larger loan deposit necessary. On top of that, homeowners pay the difference between the existing home and the value of the property since the home will be demolished and can’t be used as collateral on the mortgage. Infill homes tend to be custom-built, unlike homes in subdivisions. That adds to the expense because each decision is unique to that project. Custom homes are also more complicated for homeowners, who become part of the building process right from the design stage. That means homeowners are part of every decision – a significant difference from spec homes where many decisions for homeowners are generally condensed into a few design packages. And it’s not just the avalanche of decisions homeowners must contend with. In the circle of people involved – which can include the developer, the builder, the architect, the city bylaw officer and various contractors – the homeowner is the least experienced, which can make it hard to stand her ground. If the professionals are good, the process goes well. But homeowners have little recourse, and may incur even more costs, when things don’t go well. While this can be true for all new home builds, the problem is magnified with custom homes. From the developer’s point of view, infill is more expensive and riskier. In new neighbourhoods on the edges of the city, contractors can build several houses of the same design with the same process and higher margins for each home – the risk is more predictable. This “is the exact opposite of infill, which is why it’s hard to make a business case for infill,” says Tegan Martin-Drysdale, owner of RedBrick Real Estate Services, which builds several types of infill. Suburban development in southwest Edmonton, where building a house tends to be cheaper and easier than it is in mature neighbourhoods. Photo by Kurt Bauschardt. Infill homeowners and builders face other challenges that are less common on the edges of the city. Infill permits are costlier and take more time to go through the system than new development permits because each property must be assessed individually, rather than as a group as is done in greenfield development. And infill permits take longer because the regulations “are fairly detailed and add complexity to the review,” says Trevor Illingworth, a City planner. “There is that tension we are looking to resolve through balancing” competing interests. To balance the needs of new-home builders and residents who have lived in established neighbourhoods for years, the city developed the Mature Neighbourhood Overlay for 107 neighbourhoods in 2001. The MNO helps ensure that the character of the neighbourhood is not greatly impacted by infill, streets remain pedestrian-friendly, and existing neighbours do not lose privacy or sunlight when a new property is built. However, the bylaws for the Mature Neighbourhood Overlay are harder to follow than those in greenfield development, adding to the complexity and cost of infill projects. One significant example is how far the front yard is set back from the road. 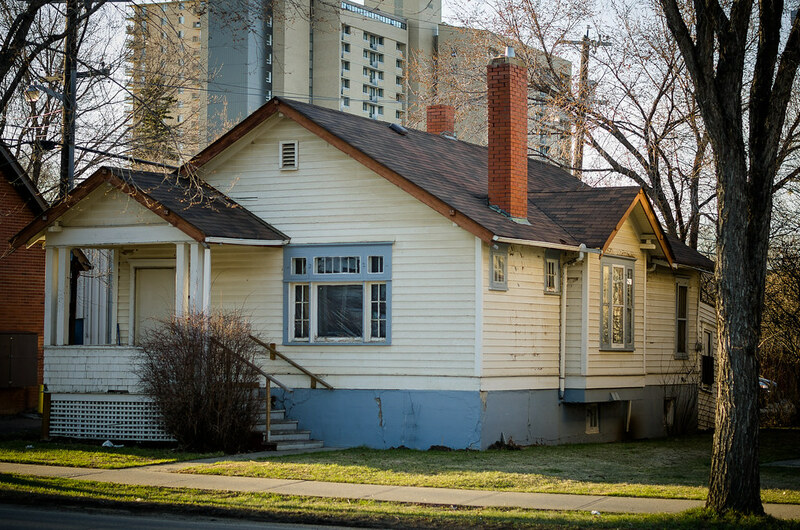 Louis Pereira, policy director with Infill Development Edmonton Association (IDEA), says requirements for new neighbourhoods are simple – the minimum setback is six metres. However, within the MNO, “you must have a math degree to figure out your front setback” because the calculation is so complicated, Pereira says. The rules can be vexing, but they are all part of the city’s balancing act. If the city simplifies zoning too much, “we could start to lose what communities want to see as far as [new housing that fits the neighbourhood],” Kirsop says. Sharon Van Straten certainly found the rules vexing when she built an infill property in Pleasantview. The Van Stratens spent several months looking for an already built home that would fit their family. 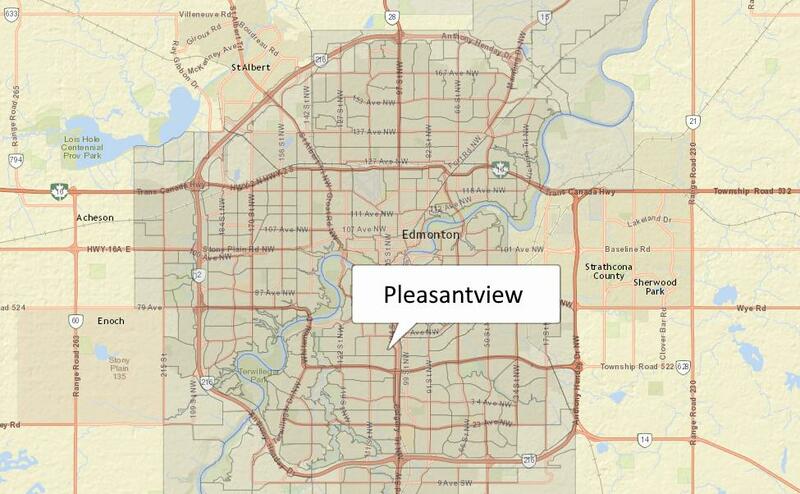 Pleasantview was considered a rural area until development began in the 1940s after the end of World War II. Learn more at the City of Edmonton's website. But they knew “absolutely nothing about infill” and quickly learned how complicated it could be. One of the unexpected problems the Van Stratens faced was the depth of the sewer system on their property. A new home down the street had no problem with the sewer, but the Van Stratens’ sewer was shallower than expected. They had to apply for a variance to increase the height of their home by four inches – a process that took several weeks and forced a complete stop on construction when a neighbour fought the height variance. While these types of construction delays aren’t unusual, they lead to frustration for both homeowners and builders – and add to the cost of the project. The city is working with stakeholders to improve infill and make it more efficient and affordable while balancing the needs of homeowners, builders and residents of mature neighbourhoods. “We’ve heard these criticisms before … and are trying to clean up the process,” Illingworth says. An extensive review of the MNO wrapped up in May, after a year and a half of consultations and 7,800 responses. It led to recommendations meant to simplify regulations while meeting the needs of residents of mature neighbourhoods and builders. City council passed the recommendations on May 29, and they will be implemented on Sept. 1. Many of the recommendations cover homeowner and developer concerns. The regulations have also been carefully reviewed for “ease of understanding, ease of implementation and better development outcomes,” says Kirsop. But the City hasn’t stopped at the MNO Review. Over the past two years, it has implemented significant changes to make infill construction more feasible for homeowners and builders. The city has also taken up the education challenge by creating an infill website. The website has extensive information about infill development for homeowners, builders and communities. In an effort to make the administrative side of development more efficient, the city intentionally put all development services into the same office when they moved into the new Edmonton Tower earlier this year. This means homeowners and developers no longer need to go to several offices to get answers or apply for permits, hopefully making the process less onerous. An infill development in Edmonton. Photo (as well as cover image) by Dallas Kronyk. Even more changes are on the way. One of the significant concerns that came out of the MNO review is about variances. As the Van Stratens learned, one way to delay construction is to request a variance such as the one they needed to address the sewer issue. Illingworth says the variance process can take up to 35 days if all goes well. But if a neighbour disagrees with the variance, it can take up to an additional 39 business days to resolve. This is part of the process regardless of how large or small the requested variance is. Kirsop and Illingworth don’t claim that the infill process is perfect. However, they feel that the MNO and upcoming permit review will simplify development significantly for all stakeholders, making infill a viable option for anybody looking to build a new home in an older neighbourhood. However, changes at the city level don’t necessarily mean that the job of building an infill property is significantly easier than when the city began its infill initiative. It can be easy for residents of neighbourhoods like Pleasantview to forget that infill doesn’t necessarily mean a street full of skinny homes and dense housing – infill can simply be replacing a single-family home that has outlived its lifespan with a new single-family home. An older single-family home in Oliver. Photo by Kurt Bauschardt. Van Straten has seen this in Pleasantview where a few community members have pushed back against some infill and variances because many people do not want to see their neighbourhood change. Although the city continues to improve the infill process, infill is still very difficult, takes a great deal of time and more money than a suburban home, and requires that homeowners do significant research before they begin the process. Not everyone has the financial or time resources necessary to build an infill home. So why bother with infill? Infill may not be for everyone. Clearly, there are financial and time requirements that not all homeowners will be able to meet. But for those who are willing to take on the potential headache and risk, an infill home can be worth it. Martin-Drysdale wants people to look beyond the initial difficulty and expense, and include in the calculation the benefits of living closer to services. Building in older, more central neighbourhoods allows residents to access transit instead of using their vehicles for every errand. And, building density into neighbourhoods encourages businesses to locate there, making communities more walkable. The recently opened Ritchie Market is a perfect example of how increasing the population in central neighbourhoods draws services to those neighbourhoods. “Infill is affordable when you factor in your life cycle cost for a vehicle and commute time,” Martin-Drysdale says. Just ask Sharon Van Straten if it’s worth it. Begin with the city’s infill website. While you’re there, look at the information for contractors and developers – you’ll find insights for homeowners as well. The site also has information about upcoming community meetings and city decisions. Infill Development Edmonton Association is an advocacy group whose website is full of information about infill. If you live in or are considering moving to a mature neighbourhood, the Mature Neighbourhood Overlay will be of interest to you. This story was inspired by a question seeded by member Justin Archer in Taproot Edmonton's Story Garden. If you have a question about how or why something happens in Edmonton, or you would like to see what others are curious about, join Taproot. You’ll help us put another story like this into the world. * An earlier version of this story incorrectly stated the Canada Mortgage and Housing Corporation (CMHC) does not insure infill property. Lenders typically require insurance through the CMHC for down-payments of less than 20%. For homeowners that have smaller down-payments, the maximum purchase price or as-improved property value must be below $1,000,000 in order to qualify for CMHC insurance. * Also, the word ‘developer’ has been replaced with the word ‘builder’ in some instances to better reflect the roles of those involved.